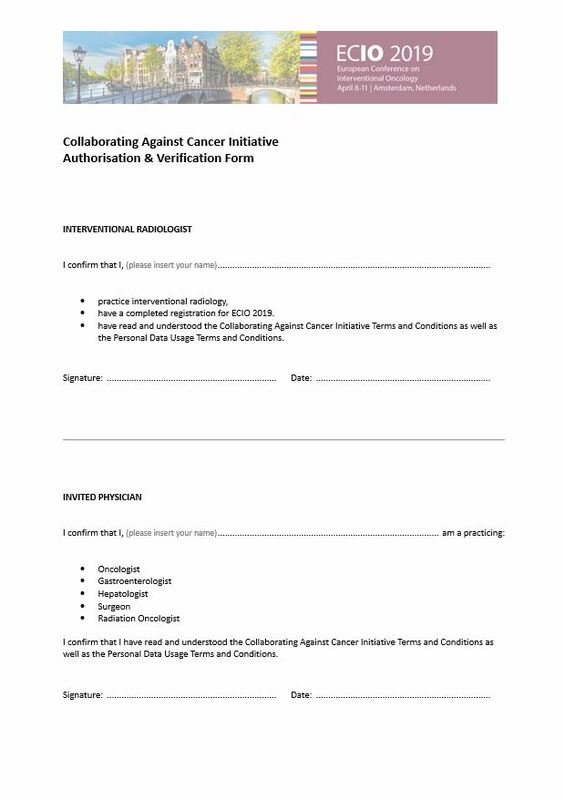 The Collaborating Against Cancer Initiative allows practicing interventional radiologists, with a completed registration for ECIO 2019, to refer their non-radiologist colleague to the conference. Before continuing with your application, please download and complete the form below. You will then be required to upload the signed document in the next steps.